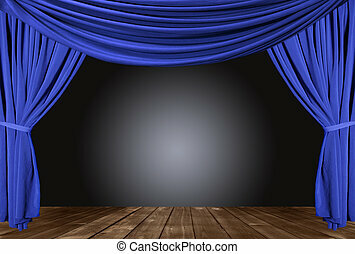 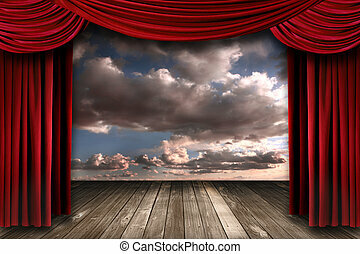 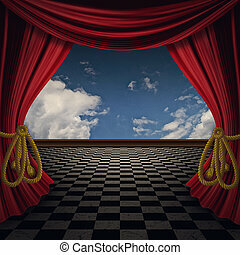 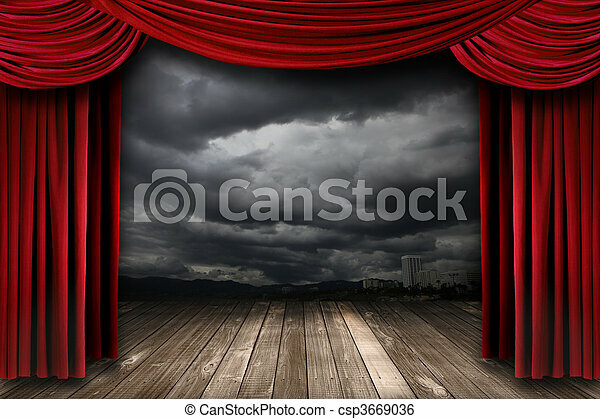 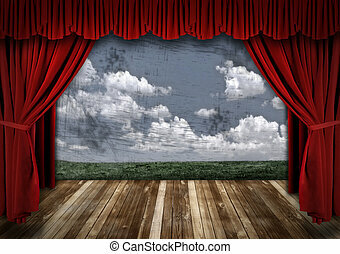 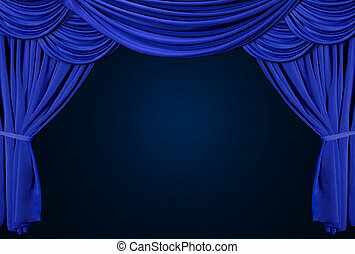 Bright stage with red velvet theater curtains and dramatic sky background. 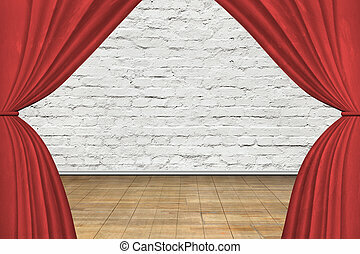 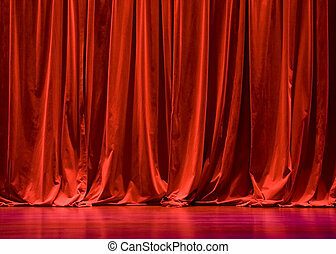 Stage with red curtains, on old brick wall background. 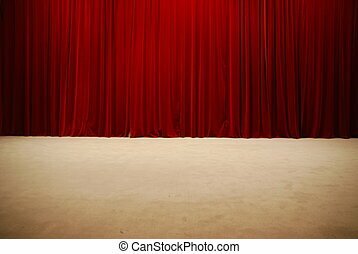 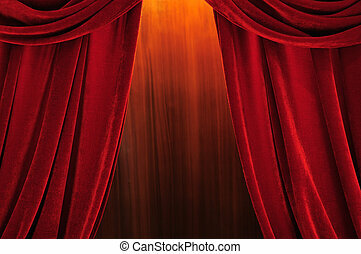 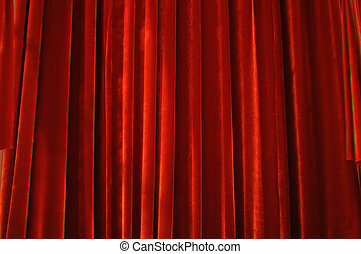 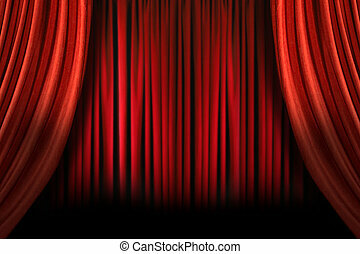 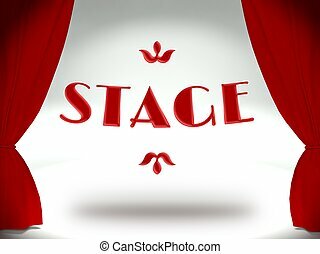 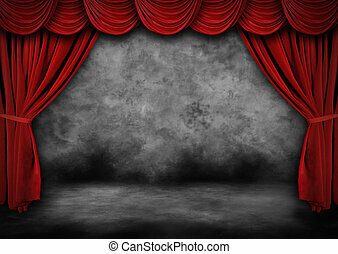 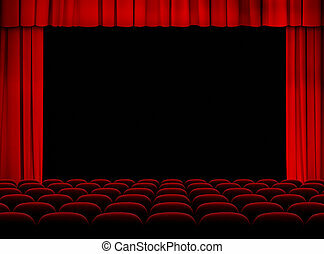 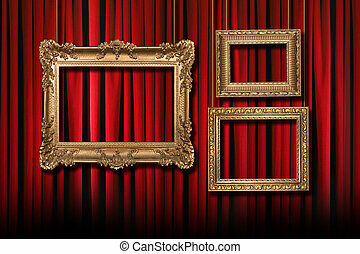 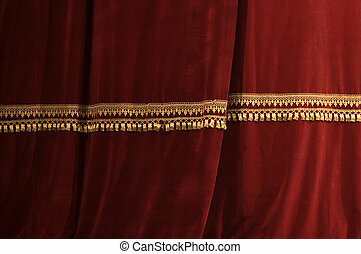 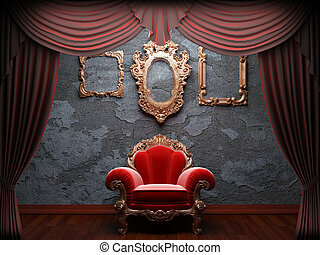 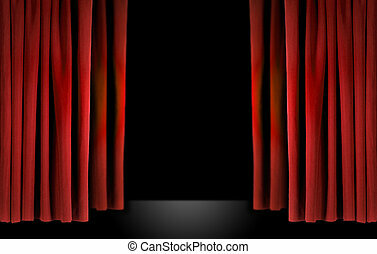 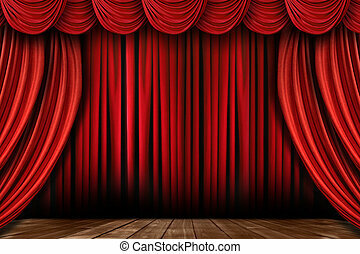 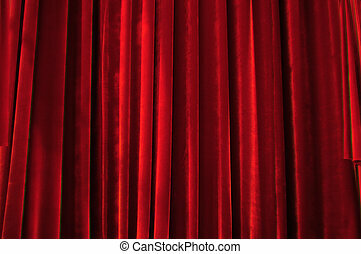 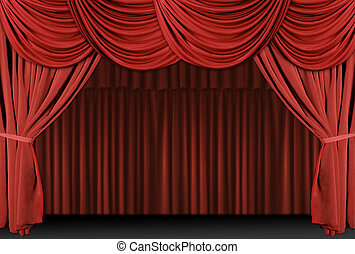 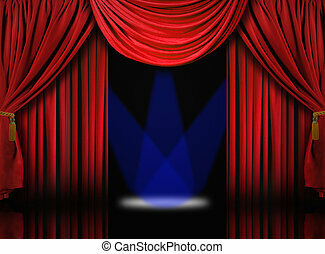 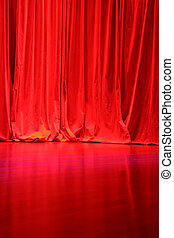 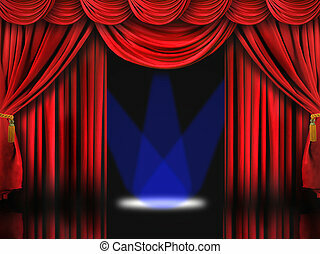 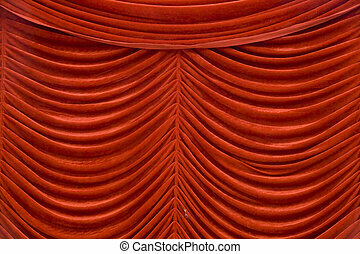 Decorative retro theater stage red curtains with floor. 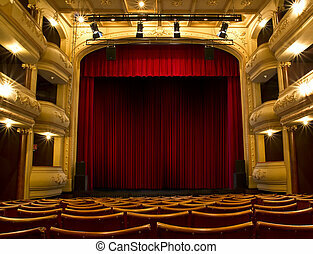 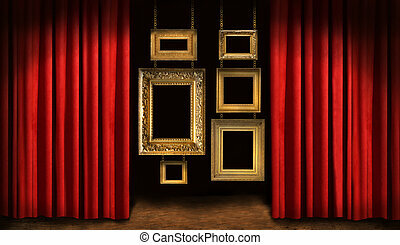 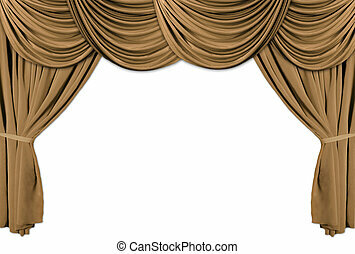 Old fashioned, elegant theater stage with gold velvet curtains.